The General Data Protection Regulation (EU) 2016/679 is a new European regulation concerning data protection and privacy, which has come into force on May 25, 2018. It is applicable for every entity collecting data of European citizens. Furthermore, it aims to harmonize and strengthen EU legislation pertaining to the storage, processing, and flow of personal data. If you are one of our customers, you are considered to be the data controller, whereas we, at Slaask, function as the data processor of your customers’ data. Considering GDPR’s principle of accountability, both the data processor and controller are entirely responsible for the protection of these individuals’ personal data. Bearing this reason in mind, we want you to know that we have always paid close attention to data protection, and the GDPR seems to be inherently a part of our continuous approach towards ensuring information security. We, at Slaask, believe that every individual has the right to have full control over his/her personal data. In this regard, we welcome the GDPR not as a constraint but rather as an opportunity for businesses to strengthen their customers’ trust in them. You will find a list of developments provided below, which we worked on during the second half of 2017; they are related to the different aspects of the said regulation. 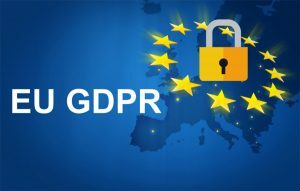 What steps did we take towards GDPR compliance? Since Thursday, May 24, 2018 our new Terms of Service are effective, in accordance with the GDPR, to ensure better transparency and understandability with respect to our users and service. We have created a new Subscription Agreement. This document includes your rights and duties as a subscriber of our service. We drafted a freely accessible Data Processing Agreement that details the terms of contract to which our providers agree, when conducting business with Slaask. At the bottom of this DPA, you will find the list of our service providers, which are all GDPR compliant, as well as a link to download a signable PDF version of our DPA. Considering the several changes being implemented along with the GDPR, we have compiled all of your Frequently Asked Questions (FAQ) about Slaask data processing and its readiness towards the GDPR in a single EU Data Protection page. To optimize our response time, we have created a specific email address to which you can send all your queries about the GDPR. This email address is . We appointed Alexis Lewalle as the DPO of Slaask. With a degree in Business Law, he is currently the most suited individual to assume this role in our organization. Please feel free to contact our DPO and our legal team via this dedicated email address: . Multiple times a year, through companies like Qualys, we assess the potential risks of our data processing system, take action accordingly, and process your data by maintaining control over any potential risk or threat. We have created a new category in our Help Center, entirely dedicated to the GDPR. It is very likely that you will find the answers to all your questions by typing your queries in this search bar! For all those developing on top of Slaask, we have created an API Agreement which puts together all the rights and responsibilities developers and their organizations are subject to when creating an app inside Slaask. What’s up next for Slaask and data protection? We have applied for the EU approval process with the Irish Data Protection Commissioner. Our request is currently being processed. We are constantly assessing and reviewing our terms of service to ensure a high degree of data protection and privacy. That is the reason we are fully open to any kind of question, comment, or query 24/7 via live chat or email at privacy (at) slaask (dot) com. We at Slaask, the customer service app for all Slack users, welcome the GDPR not as a constraint but as an opportunity to strengthen your trust in us.